In order to restore your oral health, you will need to seek professional treatment with Dr. Allan Huang for receding gums. Performed without incisions or stitches, the Pinhole Surgical Technique™ restores your gum lines with minimal discomfort and downtime. 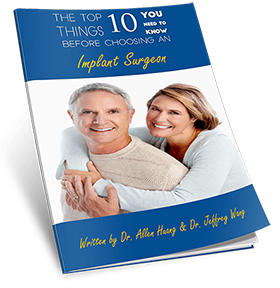 Most patients are able to return to their normal activities the day following the procedure. 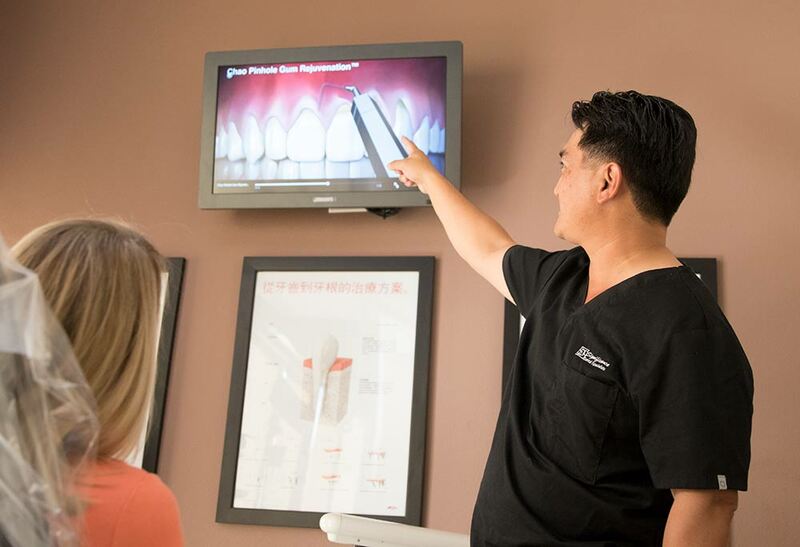 With the Pinhole Surgical Technique™, Dr. Huang will create a small hole in the gum tissue near the affected tooth and then use a special instrument to loosen the connective tissue. 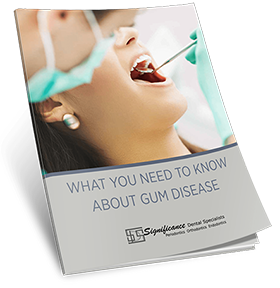 The gum line is restored to healthy levels and held in place with collagen while it heals in the desired position. While there are other types of grafts, connective tissue is the most common. In this method, donor tissue is collected from under a flap in the roof of your mouth and then stitched to cover the exposed tooth root. 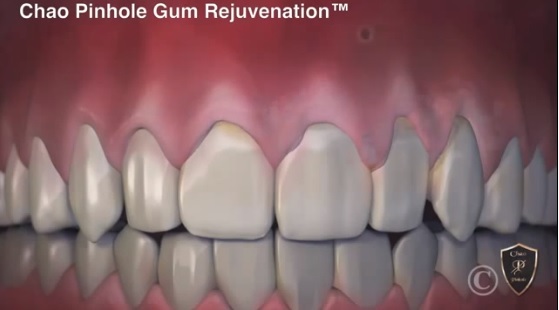 Over time, the new tissue integrates with the existing tissue to create a healthier gum line. Flap surgery is used to both treat gum disease and gum recession at the same time. In flap surgery, the tissue is retracted to enable access to deep plaque and tartar deposits within periodontal pockets. The diseased tissue is removed and the remaining tissue is stitched into place, forming a new barrier for your root surfaces. A regenerative membrane or other material is often placed to encourage tissue regrowth and reattachment.